The experienced, professional team at Anthony Spink Dental Suite provides a spectrum of solutions to suit the needs of all ages in our community. Whether you require a routine dental checkup or more complex work, rest assured that you’ll receive the highest standard of care at our practice. One of our many services is wisdom teeth extractions, which we perform efficiently with your comfort in mind. If you think your wisdom teeth may be growing in, or you have a teenager in your household with wisdom teeth erupting, they need to be evaluated by a skilled dentist. We can assess them and determine whether they need to be extracted. Wisdom teeth are the last teeth to grow in at the back of the mouth. They usually emerge in the late teens to early twenties. There can be problems, however, when there isn’t proper space in the jaw for the wisdom teeth to grow in. If so, they can become impacted, make your other teeth shift or cause an infection. Furthermore, it can be difficult to brush and floss these teeth, meaning that food can easily be lodged in your back teeth and cause cavities. If your wisdom teeth don’t erupt properly or are compromising your oral health, the best solution may be to have them removed. Our team is well-versed in the extraction of wisdom teeth and will ensure that you are comfortable throughout the procedure. We administer anaesthesia before beginning and only start once you agree that you are ready. 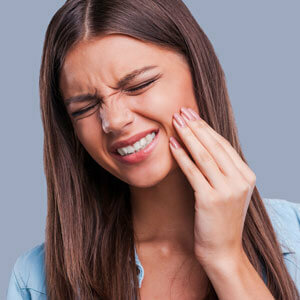 The extraction of wisdom teeth doesn’t have to be associated with a high degree of discomfort. We do our utmost to make sure that you feel relaxed and know you’re in capable hands. It’s a commonly completed procedure at our practice, and you can be confident that we’ll keep your best interest in mind at all times. We’ll evaluate your wisdom teeth and overall oral health, including X-rays to understand your situation and how best to extract the teeth. From this information, we can carefully plan how to go about your extraction with ease. We’ll advise you on all necessary aftercare so that the extraction site heals quickly and effectively with no complications. You should be ready to return to your normal activities within four days. Don’t put off having your wisdom teeth evaluated. Our gentle, caring team can perform a comfortable wisdom teeth extraction Brighton only if it is deemed necessary. Contact our clinic by phone or email today to arrange your appointment or learn more about wisdom teeth extraction Brighton!